Thanks for visiting my new food blog! Hope you got to know me a bit better from reading my introduction (part 1 and part 2). 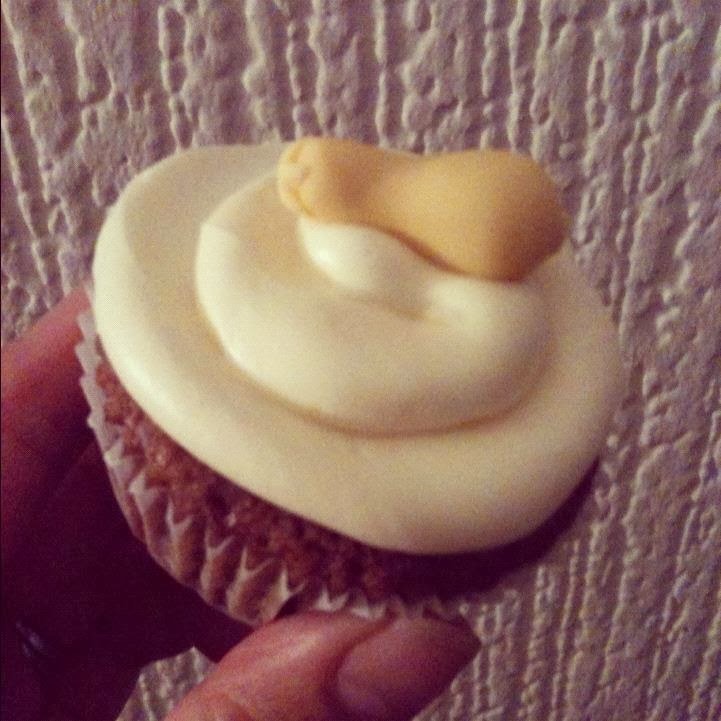 I've been baking for about 7 years now and wanted to share with you my all time favourite bakes. I thought, what a better place to start this blog, than on a high! These are tried, tested and trusty recipes that I go to time and time again that never fail to impress! I doubt these are going to change any time soon, if anything I will probably add to them over time. I'll be sharing these recipes in future. These cookies have to be my most requested and popular bake. Every time I've made them, they've always went down well. I even had one girl take a bite then ask me if there was peanuts in them, admit she had an allergy, but (despite my protests for her to stop) kept eating and finished it 'cause it tasted so good! I've made this so many times and it's pretty easy to do. This is the recipe that I've had the most requests for - from friends and Instagramers. A close contender to the cookie for first place. And another winner whenever I make it. I once made it for a Christmas dinner party for friends. Several of which claimed they didn't like cheesecake but went and had some anyway, ended up loving it! I've made a tweak to the original recipe to include Oreo biscuits instead of digestives in the base. This makes it so much better! 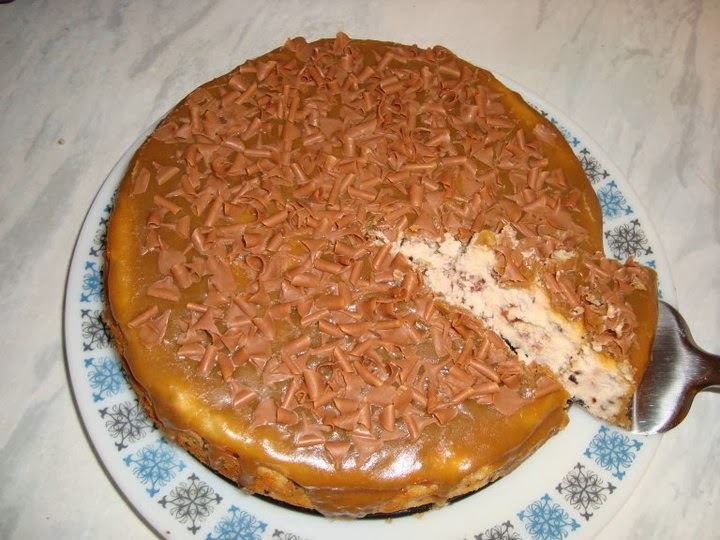 Cheesecake isn't difficult to make but it is time consuming, as you have to wait for stages to be chilled/cooled down before you go onto the next stage. Therefore, I make this less often than the cookies. But it is worth it in the end! If you like pecans, butterscotch and Oreos - you will like this! I got this recipe from my eldest cousin Minda, so I like to think of it as a family recipe, that I can hand down to my kids and so on. I've compared this recipe to other sticky toffee pudding recipes and there are a couple of key differences (that I think) make all the difference to the taste! The addition of Ovaltine to the spice mix and use of black tea instead of just water to soften the dates are a couple. It's also simple to make that even the kids at work found it easy (and really yummy)! You can follow Minda's blog of her food adventures in Australia here. At the time, I thought I would attempt a butternut squash cake, as it's a bit different to a carrot cake but produces similar results. It worked so I've stuck with it. I like to think of this as one of my 'healthier' bakes because of the veg in it, haha. You cannot tell that you're eating veg though! This is a very delicious and moist tea loaf and vanilla buttercream icing goes well with it. 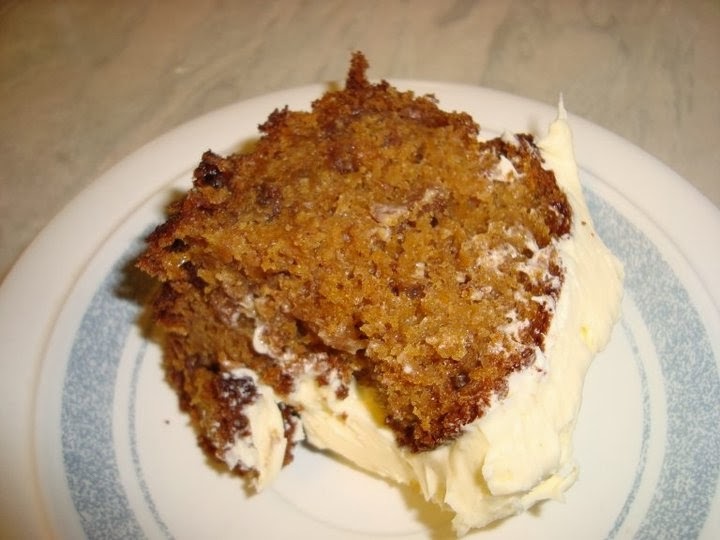 I find that you can substitute butternut squash for carrot in a carrot cake recipe, though I tend to use this one that is meant for butternut squash. Like the sticky toffee pudding, it's great to make for for an Autumnal treat. This is a recipe that I learnt from Leigh and one that he learnt from his mam. A really easy tray bake that is super tasty (if not super bad for you)! 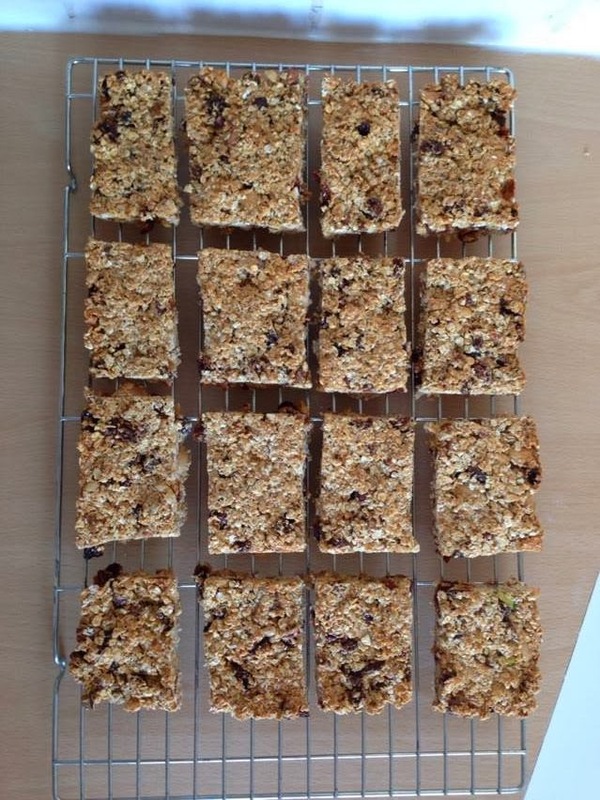 I was really pleased with myself when I discovered this recipe for granola bars. 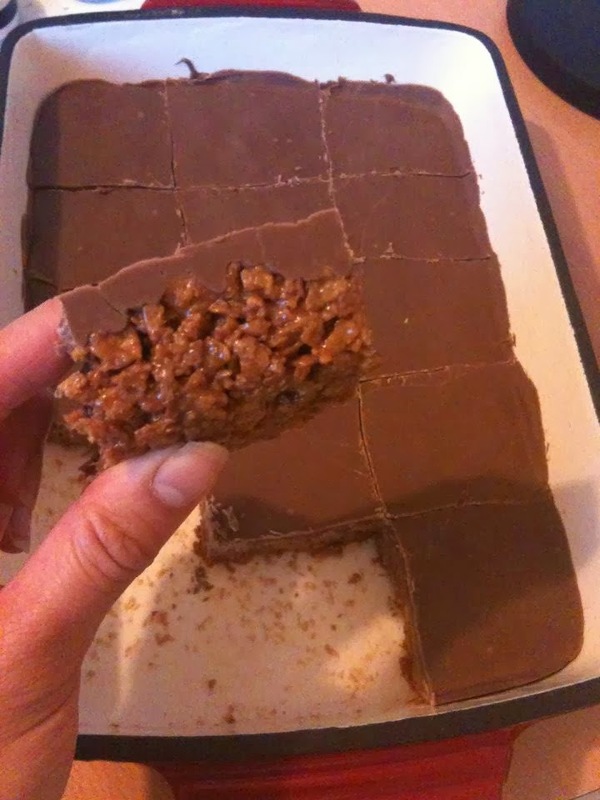 This is another traybake that is really easy to make! I find it relatively healthy compared to other granola bar/flapjack recipes. There is no butter or golden syrup but uses condensed milk to bind it all together. It's a good way of using up any leftover dried fruit/ nuts/seeds. And you can substitute these ingredients freely as long as you keep the quantities the same. The granola bars make a fantastic addition to packed lunches. I have a work colleague, who is a keen cyclist tell me that these would also be great for when he and his fellow cyclists do competitions. Good for providing energy, full of goodness as well as being tasty! I was hoping to see some recipes..(insert sad smiley here)...but they all look so yummy.. They look amazing! 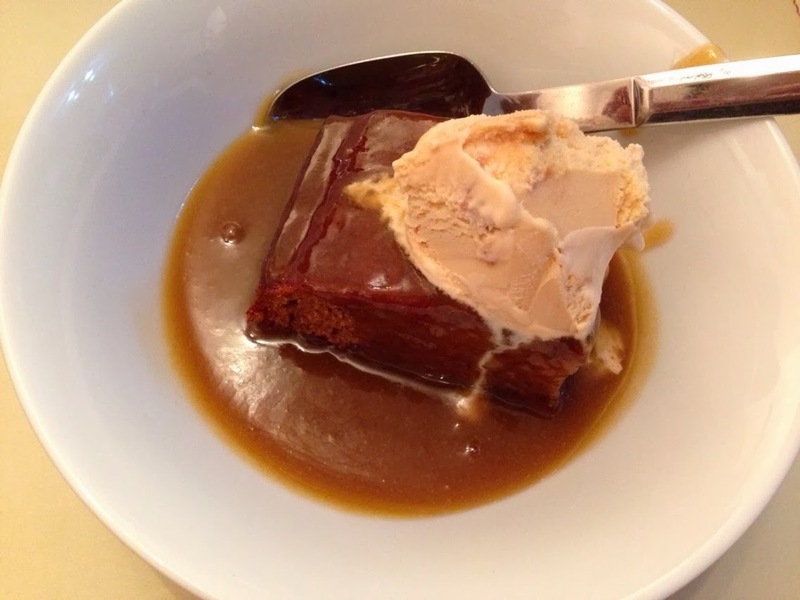 You have me craving sticky toffee pudding and it's only 8.30!